Then every 2 months we will deliver a new box to your door containing all the needed renewable consumables. To combat the current Issue of plastic pollution in the our oceans. 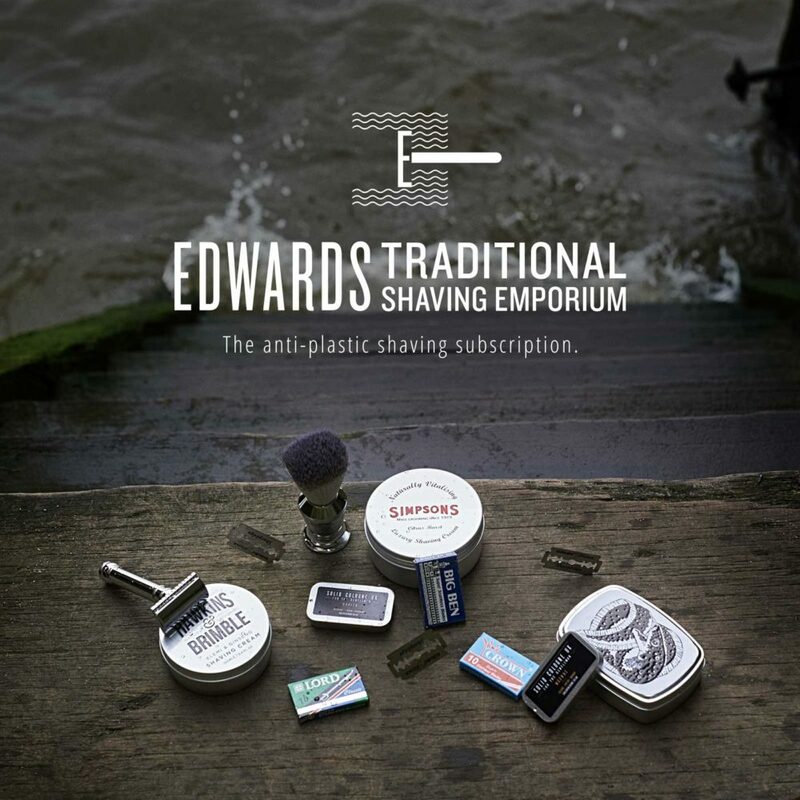 We at Edward’s have created a disposable plastic free monthly shaving subscription. 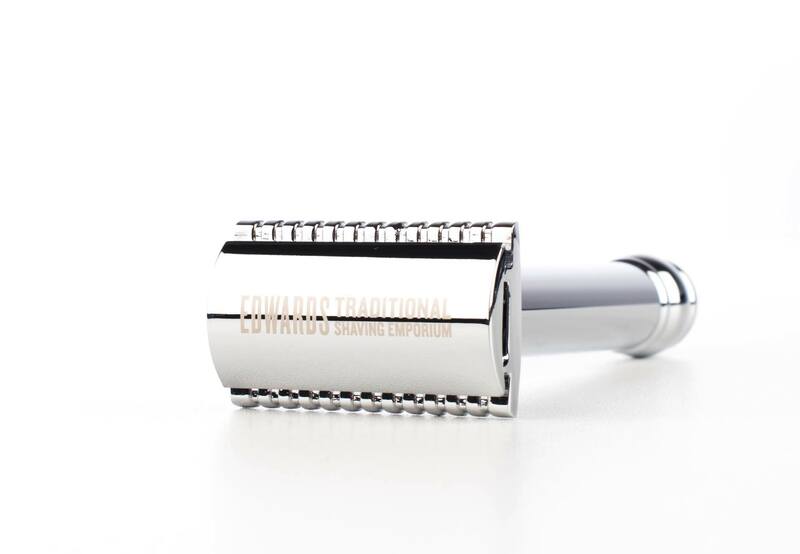 Also safety razors are a great start for eco friendly shaving due to them taking steel D’E blades. As opposed to disposable cartridges which are largely plastic. Sadly cartridge razors and disposbale razors are number 7 on the worlds most polluting plastics. Which is why we felt it our duty to create this subscription. For £28.50 per month. 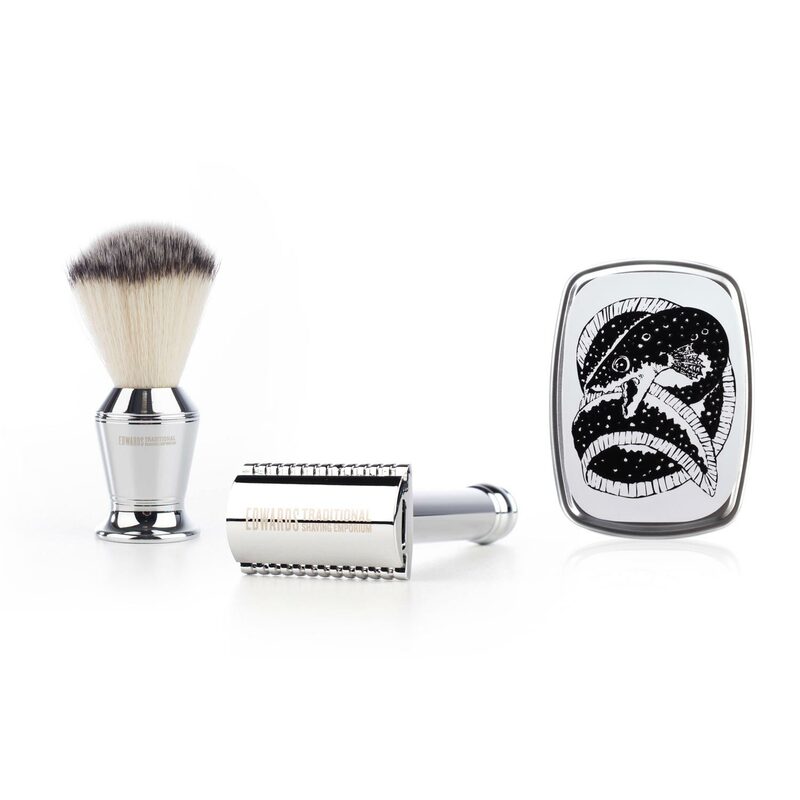 You will receive a shaving box every 2 months which will provide you with an exciting range of luxury shaving goods. 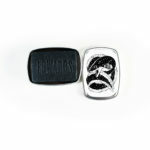 Also all of the products you will recieve will have no disposable plastic in the packaging in. 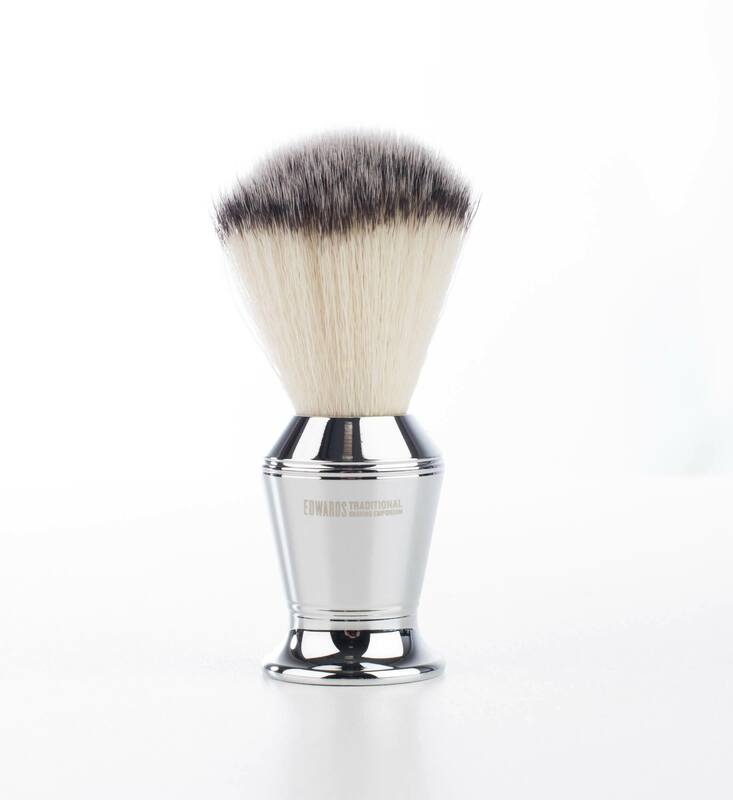 Monthly you will recieve a high end tin of shaving cream and you will no longer need to worry about razor blades. As you will recieve 4 packs in every box. 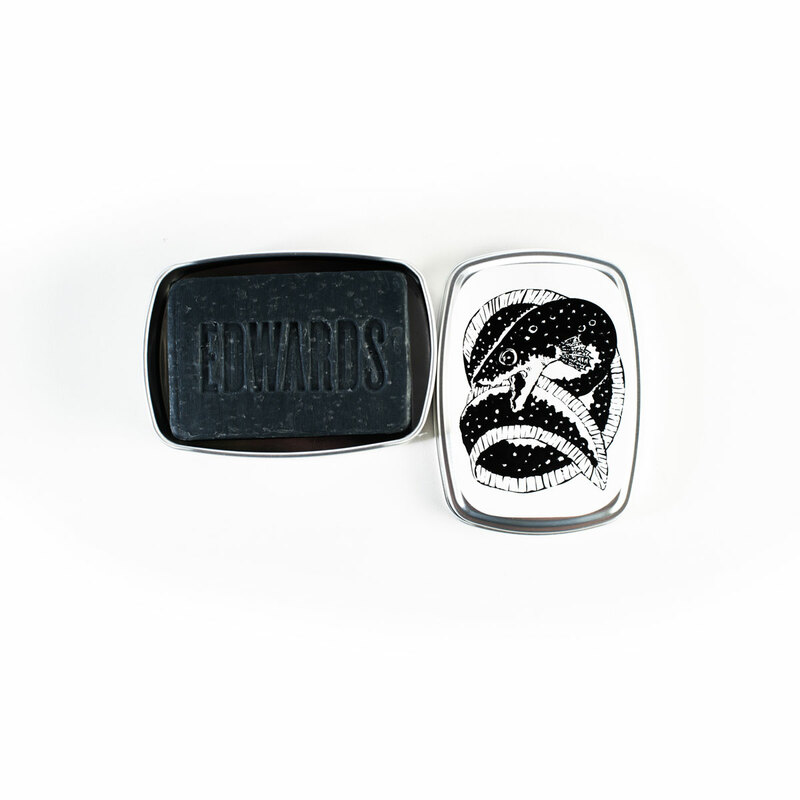 The first month you will recieve the Edwards lifetime razor, a chrome plated middle aggressive safety razor that you will love. 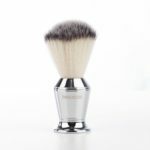 Along with a faux badger, Edward’s shaving brush. 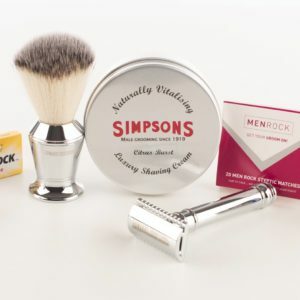 A tin of simpson’s shaving cream, 4 packs of blades and some styptic matches. 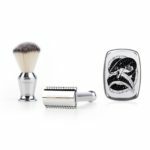 Your bi monthly boxes after will contain mystery products, from designer shaving companies from around the globe. Sourcing non plastic was not easy but we managed it in style with some of the hottest unsual products. We also have an option of just purchasing the 1st box for £55. At Edward’s we are all about old style shaving as quite simply it is better. 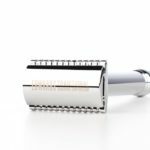 It provides a better shaving experience and the end product is better. Also our Ethos with this subscription is an ethical one, we urge you to give us consideration for the sake of our beautiful sea’s. Kindest regards the Edward’s Crew at Edward’s shaving.